The reason that it stays with me is pretty evident. I love bread. I mean, I LOVE bread. As in, I would rather have a good slice of bread than chocolate or ice cream. I cannot say enough good things about this book. 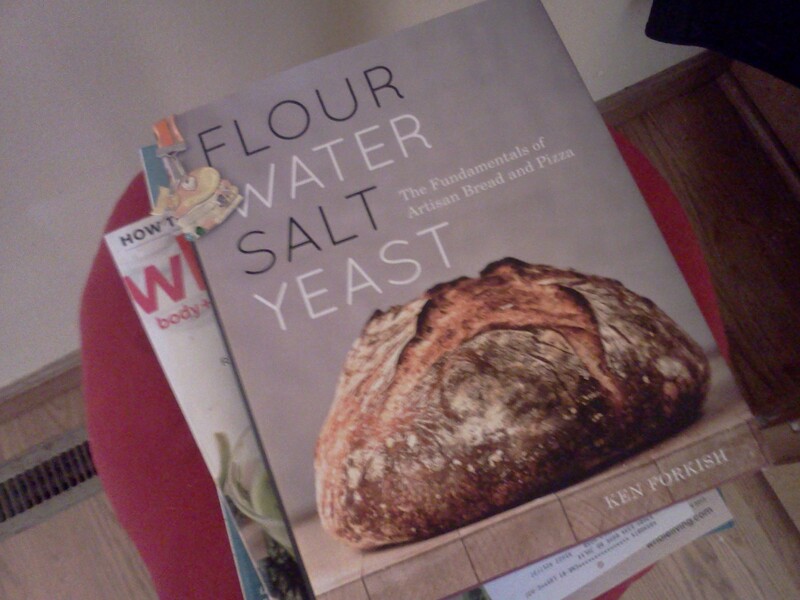 The author, Ken Forkish, treats bread baking like a cross between a religion and a science project. The passion he has for good ingredients and developing flavors in the bread is awesome. He talks about knowing where our food comes from, and taking the time to make our food the best it can be. I’ve tried a couple of his recipes since getting the book, and it is some of the best bread I have ever eaten. Certainly, it’s the best bread I’ve ever cooked! Now, the recipes look complex at first, but really it’s not. However, it does take time and attention. Friday night I started the Overnight White Bread (you mix the dough and let it proof overnight, than the next morning, shape the loaves, proof them again and bake – in a dutch oven!). The bread comes out of the oven in beautiful round loaves, full of nooks and crannies with a dark, crisp crust. Fabulous! 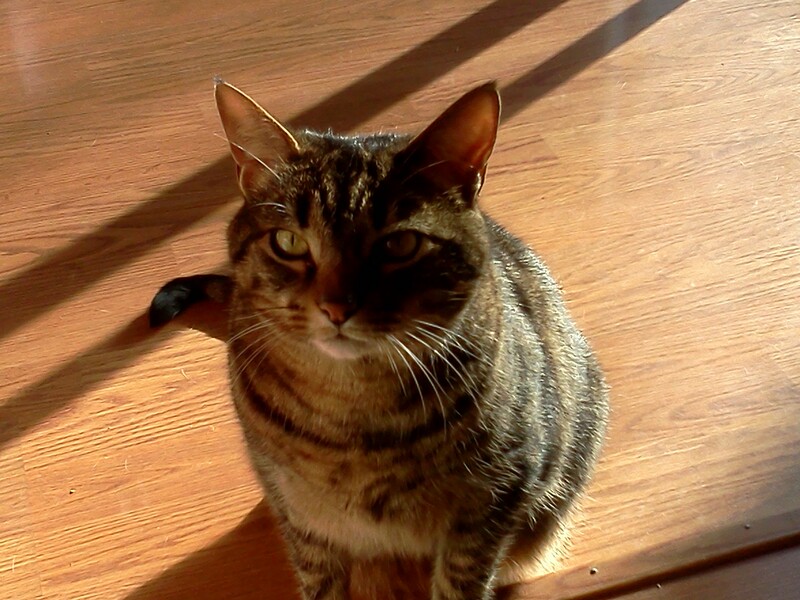 This time Elwood was hanging out in the kitchen with me. 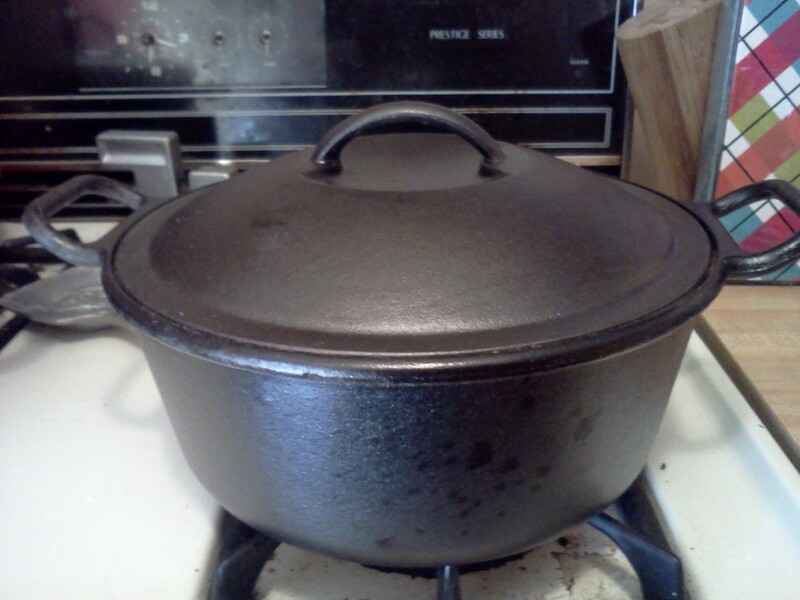 4 Qt Lodge Cast Iron Dutch Oven. Perfect for baking bread – who knew? 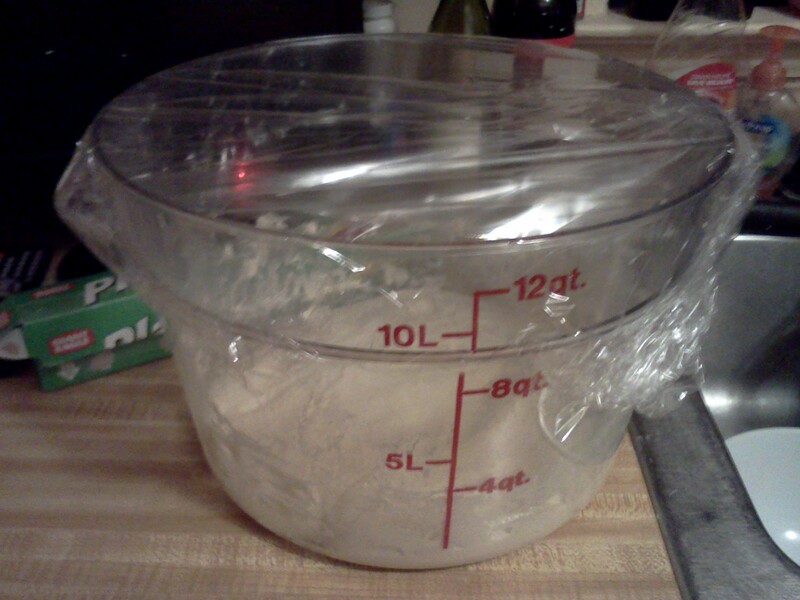 A trick from the book – mix and proof the dough in a 12 Qt container. Really cuts down on the messy countertops! 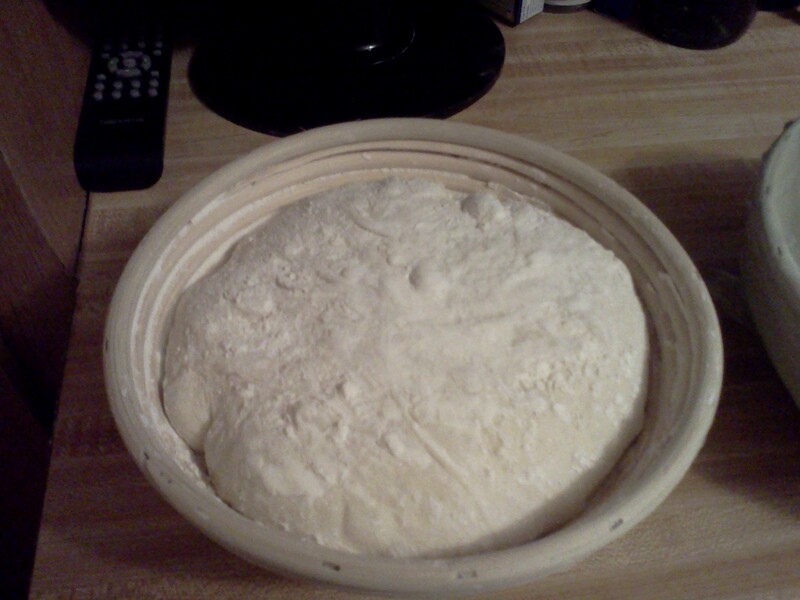 After the dough proofs the first time, you seperate it into two loaves and shape them. These baskets are the perfect size to create loaves for the dutch oven, and look pretty. 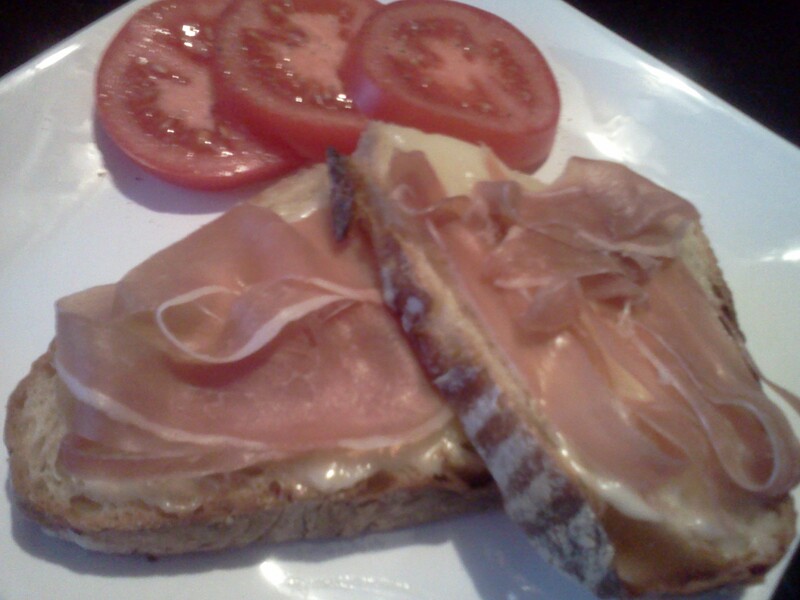 Dinner tonight – I toasted the bread and topped it with brie and prosciutto, with tomatoes on the side. Yummy!!! 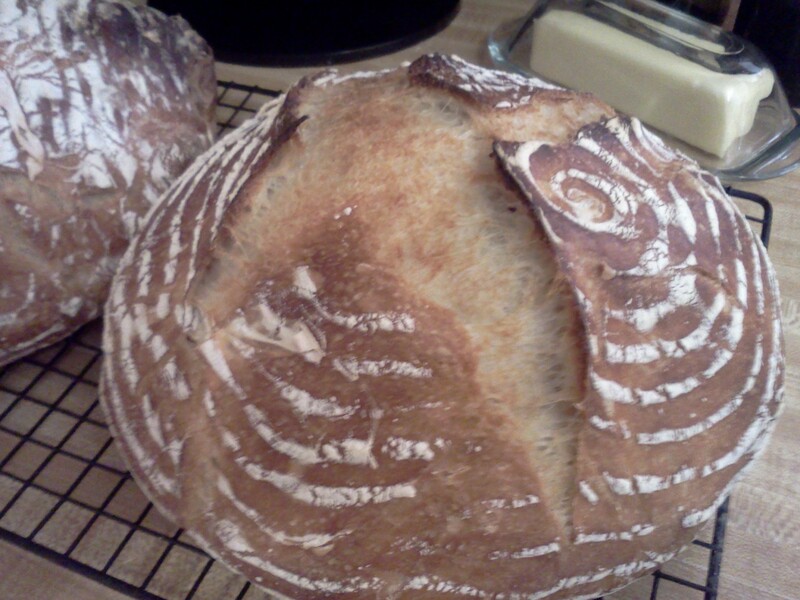 This entry was posted in General and tagged artisan bread, bread, bread making on January 21, 2013 by Melissa. 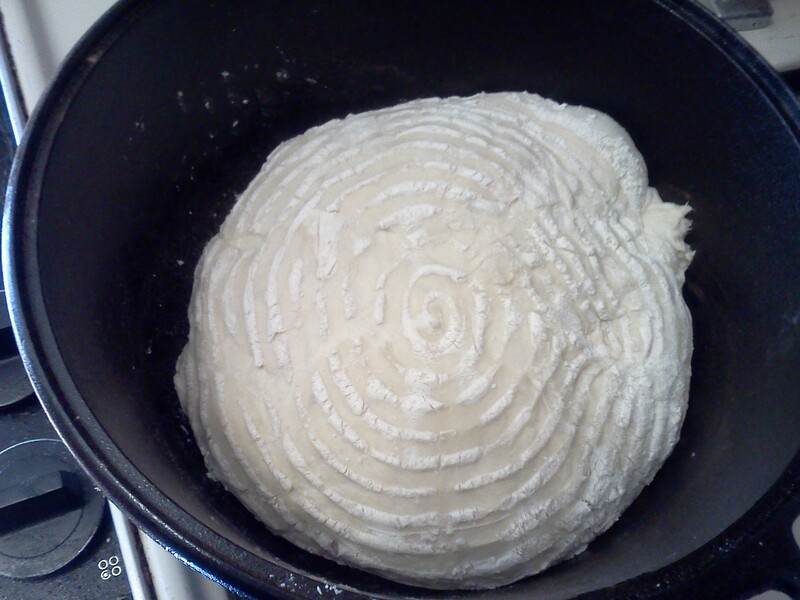 I love how the baskets make pretty swirls on your bread–nicely done! Thanks! There are some great pizza dough recipes in that book that I want to try, too. You are such a good writer, Lis. You have to write a book. You just have to! And I love the pretty swirls those baskets make on the loaf tops– I never knew how that was done ! So cool ! You’re a pretty awesome writer yourself, so thank you! 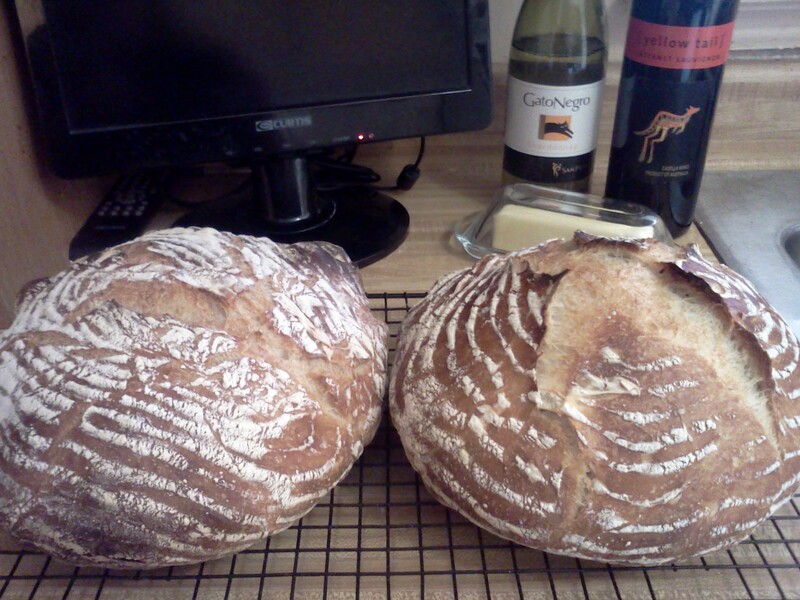 I got some good whole wheat flour at the farmer’s market this weekend – I’ll have to try a whole wheat recipe next. Thanks! Next time I’ll have to give you and Dave a loaf – as much as he loves bread I know he would appreciate it! Melissa, just wonderful! I can say that, because I got to eat a warm slice right out of the oven. If you ever wanted to open a bread shop or bakery, you could do it!!! Thank you! I was surprised that it was still just as good days later. Most supermarket bread goes stale so quickly – this held up really well.